Prevent tape from sticking together by using plastic tabs, fasteners or strips such as from bread wrapper sealers or commercial merchandise. Place the plastic between the bottom of the leader tape and the back or top of the roll. 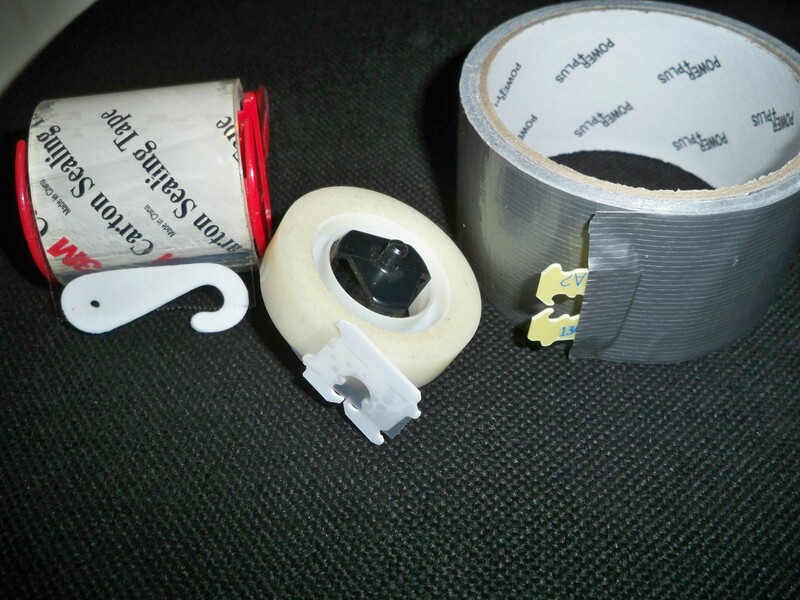 Never again waste time and tape fighting with adhesive such as office tape, duct tape, or packaging and parcel tape. Find the ends quickly.